To register, please mail the Youth Registration Form along with a check covering the 50% deposit or full tuition. See like an owl, walk like a fox, howl like a coyote… at TreeSong’s Nature Adventures Day Camps! Through games, storytelling, art, movement, singing, and nature awareness activities designed to awaken the senses, hone physical agility and support a burgeoning knowledge of the natural world around them, children will gain a deepening connection to self, community and nature. *50% deposit reserves a spot, full payment is due by June 1st. Bring your child to experience the wonder of TreeSong and the magical world of fairies! Nature connection and appreciation will be inspired through an immersion into the forest and its inhabitants – animal, plant and otherwise. Storytelling, art, movement, singing and nature awareness experiences will all be part of the Fairy fun! 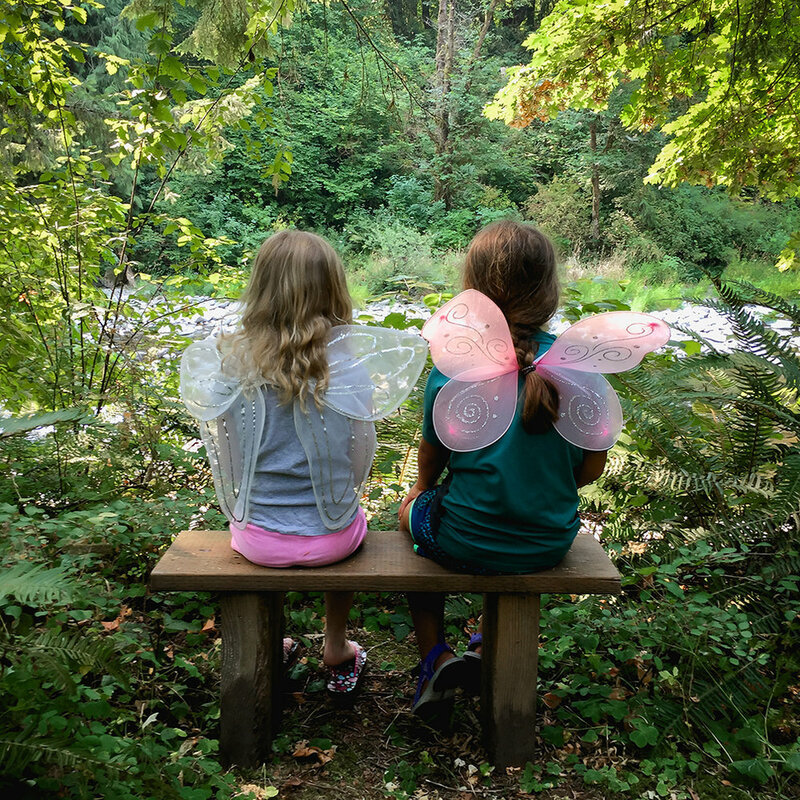 Fairy Adventures Camp has become so popular that we’re offering two sessions to accommodate the many fairies wanting to participate! The survival skills camp will cover aspects of hard and soft skills related to surviving in the wild. We will practice both the hard skill of shelter building (a solo overnight at TreeSong) and the soft skill of awareness leading us to feeling at home in nature. We will learn how to start a Friction Fire by building a bow drill kit together and each participant will learn how to use a knife safely. Another aspect of the class will be to teach animal tracking both as a survival and awareness tool and as an intellectual pursuit. We’ll be taking time to slow down and pay attention to the tracks and signs left by critters in your region and learn to identify the animals and tell their stories. The introduction of survival skills will emerge between and during times of play, creativity, art and will use the “Art of Questioning” to deepen understanding. This will be a unique and memorable experience for your child. Need something to do while your child is having fun at TreeSong? Click here to see local attractions 10-40 minutes away.